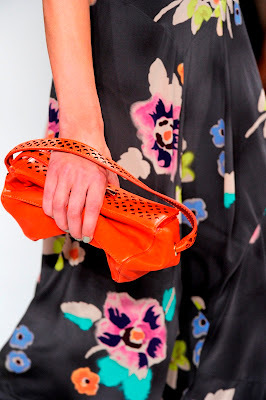 Mercedes-Benz New York Fashion Week SS12 has officially ended, and OPI was thrilled to participate in four exciting shows: BCBG, Jason Wu, Rebecca Taylor and Hervé Léger! Check out pictures and more information after the jump. Jason Wu: Friday, September 9 @ Center 548 – Models wore Monsooner or Later on nails (this poppy red shade was selected to match lips by MAC) and Samoan Sand on toes. Celebrity attendees included Lea Michele (Glee), Jamie King (Hart of Dixie), and CarolineSieber (stylist).